Our 80+ ministries—ranging from liturgical to formation and outreach—are available to people wishing to share of their time and talent. 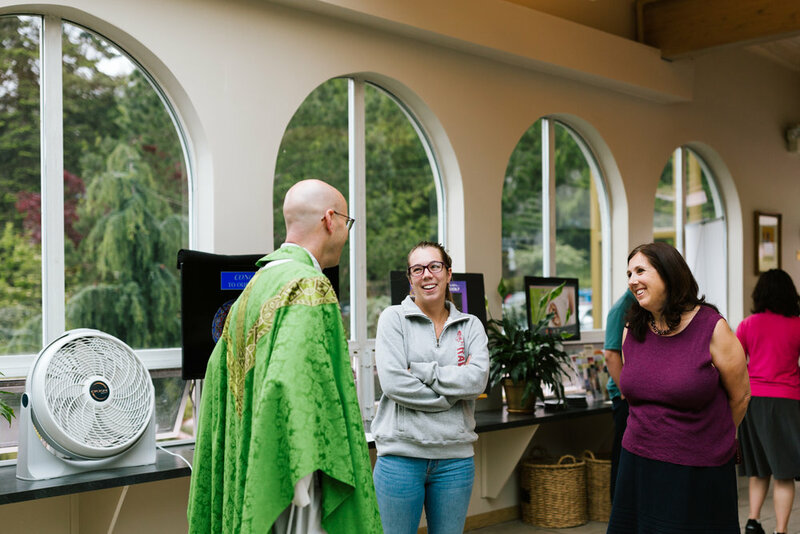 Learn more about the diverse ways our parish is engaged with helping our community by visiting our Parish Groups page, or reading our 2018-2019 Ministry Booklet (contact our office for a copy). Check out our Volunteer Opportunities page for areas where immediate help is needed, either in the office or with one of our many ministries. If you have any questions, either contact the ministry lead(s) found in the booklet or the parish office (425) 392-5516, or you can submit an online sign-up form. Our yearly Parish Stewardship pledge for the 2019 calendar year is underway! Please click here for more information on Parish Stewardship 2019.